Planning to visit Manali for the first time? 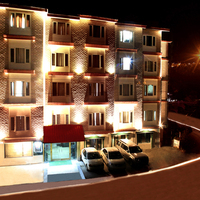 Don't know how to find the best Manali hotels? Well, you have landed at the right place. Manali is one of the beautiful places in Himachal Pradesh. 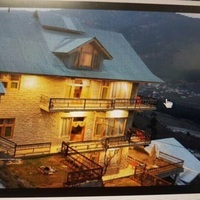 If you are planning a visit to Manali any time soon, make sure you book your hotel after browsing through various top hotels in Manali at Cleartrip. You will find exclusive offers and best discounts everything at one place. The beauty of Manali attracts thousands of travellers who come here to spend quality time with loved ones. Some of the must visit places that will grab your attention are Manali sanctuary, Bijli Mahadev, manu temple and other. 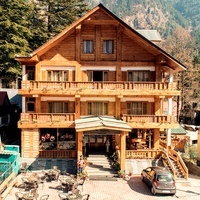 Top Manali hotels can easily be booked via Cleartrip. You can search hotels according to your budget, location, property type and facilities. If you are lucky you can even get a cashback through a valid coupon code. You can choose from budget hotels, resorts, 3-star hotels, 4-star or 5 star hotels through Cleartrip where you may find amazing deals and offers. Boutique hotels and homestays are also there. 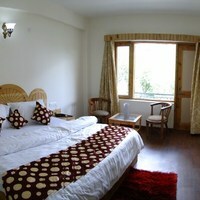 Moreover, if you can go through the Manali hotels reviews they will be quite helpful in selecting a good hotel. 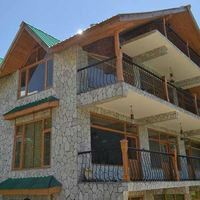 Resorts in Naggar road, near the Club House, in Prini, Log Hut and near Hadimba temple are also some good stay options. 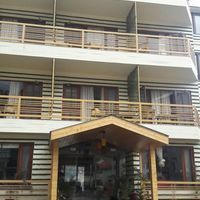 You can find a complete list of top hotels in Manali at Cleartrip with complete details of facilities along with pictures. Manali is one of the most popular hill stations in India and is surrounded by hills and woody forests. It is believed that it was the place where Sage Manu, the lawmaker for mankind reached and named the place as ‘Manu-Alaya’ (the home of Manu). From that, the word, ‘Manali’ has been derived. This valley located in the Himanchal Pradesh is also known as ‘Valley of Gods’. from Cleartrip. You can choose from luxury to budget-friendly hotels for your comfortable stay at cleartrip. 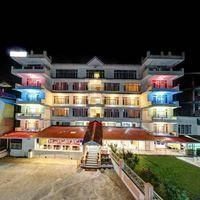 If you are looking for budget hotel, you can go for guesthouses, homestays, etc. There are 2 and 3-star hotels, which are not at all expensive. You can get all the basic amenities, like AC rooms, TV, neat interior, room service, etc. in such hotels. If you are looking for luxurious hotels, then you should check 4 and 5 stars hotels which offer world class facilities, like bar, pool, gym, and restaurant and so on. There are boutique hotels which can make your stay luxurious and extremely comfortable. - While booking hotels, it is very important to check the location. 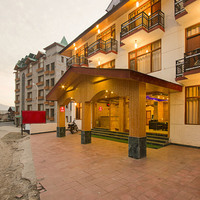 When you are in Manali, you should try to book hotels in city centre near the shopping area. If on a romantic vacation then choose a secluded place. , choose winter and autumn season. Also, you can visit during summer, but you cannot enjoy sightseeing at the onset of winters when the weather is pleasant. - You should book a hotel according to your budget. For this, you can go to Clear trip where you can find different types of hotels and pick one that fits your budget. or the 4 and 5 stars hotels. If you are on a limited budget and still looking for standard accommodation, you can find many budget hotels in Mall Road area. You can find budget hotels with neat interiors. Also, there are some popular tourist attractions located near Mall Road. 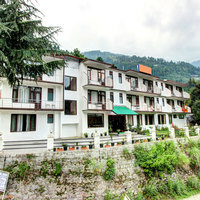 If you are a honeymoon couple, you will love to stay in Old Manali, just 30-minute walk from Manali Bus-station. This place has immense beauty that lies in the stone and timber houses alongside the hilly area. The calmness and serenity will charm you.
. The price range of hotel ranges from INR 349 to INR 12,441. 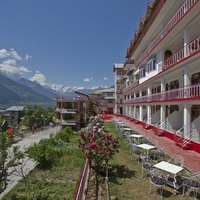 Manali is well-connected with different parts of the country through various means of transportation. There are domestic flights that connect Manali with Delhi and Chandigarh. The nearest airport is in Bhuntar, which is 50 km away from Manali, and you can get a pre-paid taxi from there to arrive at Manali. There are state-run and private buses that connect Manali with New Delhi, Leh, Ladakh, Dharamshala, Kullu, and Shimla. You can also reach Manali by train. 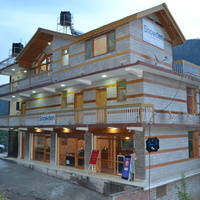 Jogindernagar is the nearest railway station to Manali and it connects the town with other important cities of the country. You can also reach Ambala or Chandigarh by train and then get a taxi to reach Manali. , known as Snow Point, it is a valley between Solang village and Beas Kund. , a 15th-century castle that gives a glimpse of Russian architecture. , the documents of rich history and culture of Tibetan people in Manali. , a pilgrimage spot with the temple of Lord Manu. , the snow-filled pass that receives numerous visitors every year. , at the bank of the Beas Kund and famous for great natural attraction. , also popularly known as ‘the Pool of Gods’, is famous for its picturesque beauty. Culture: The culture of the town of Manali brings out the traditional cultural values of the society. It is also a home to various tribes of India. Markets: Markets in Manali provide tourists with many products, such as the traditional artifacts and handicrafts. 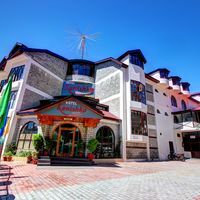 Some of the famous shopping places in Manali are Tibetan Bazaar, Gadan Thekchokling Gompa, Himachal Handicrafts, Tibetan Carpets Centre, etc. Food: It is paradise of foodies where cuisines from all over the world are served. However, people here are fond of rice and different types of curries. : It is in Kangra District of Himachal Pradesh at a distance of 234 Km from Manali. 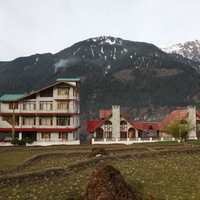 It is located only 40km away from Manali and is a beautiful hill station on the banks of River Beas. 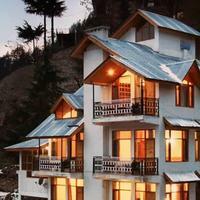 This most popular hill stations is at a distance of 250 km from Manali. This is another hill station of Himachal located only 238 km away from Manali. 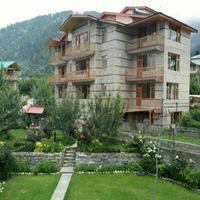 is 345.1 km away from Manali and it is one of the best summer getaways of the tourists. 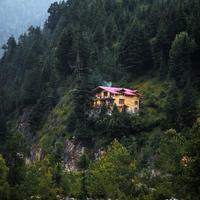 It is a small, beautiful hill station in Solan District located 263 km away from Manali. 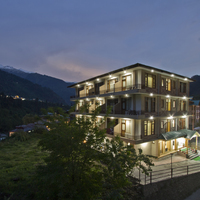 Manali has a moderate temperature all year round. 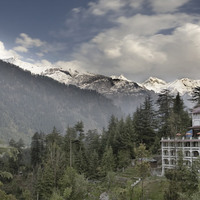 The best time to enjoy the beauty of Manali is from September to February. The temperature ranges between 10 and 35degree Celsius all year round. 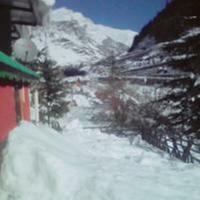 If you are planning to visit Manali for trekking, visit Manali in winter season. Summer starts in March and lasts till June. The weather remains pleasant throughout this season. July to mid-September is monsoon season in Manali. 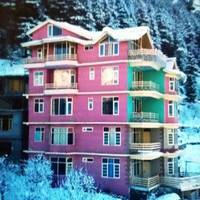 A lot of tourists flock to Manali during this period to witness snowfall. Summers here are extremely pleasant. It is the ideal time to visit. Book your hotel before coming. This is the time when the town receives rainfall and hence tourists are less. - Goddess Hadimba is worshipped in Manali for happy life and prosperity. A fair is organised during the spring when flowers bloom. - Celebrated in February this is one of the major events in Manali that attracts tourists from all across the world. - Organised near the Doongri Forest, this is celebrated by the women. They wear traditional clothes and dance on the folk songs. Do not miss the chance to be there during the time of festivals.